The BALB/c mouse is a commonly-used inbred mouse strain for the study of autoimmune diseases and pathogen-driven immune response. They carry the H-2d haplotype and their immune cells are routinely used in immune-based assays. Based on early studies, the BALB/c mouse is biased towards a Th2 antibody-mediated immune response when challenged appropriately. Thus, the BALB/c mouse is well-studied in the field of immunology and their cells may offer experimental advantages depending on the parameters of your experiments. CD3 pan T cells from BALB/c mice consist of both CD4 and CD8 T cells and make up approximately 33% of cells in the spleen of a typical adult animal. All T cells carry the CD3 protein marker and the T cell receptor (TCR), which recognizes foreign antigens presented by major histocompatibility complex molecules on antigen presenting cells, to activate them. T cells develop in the thymus to become mature CD4 or CD8 T cells and exit the thymus to reside and encounter foreign pathogens in lymphoid tissues. When activated, CD4 T cells will become T helper subsets to secrete cytokines to boost either the humoral or cell-mediated immune response. In contrast, CD8 T cells, when stimulated, will become cytotoxic T cells that can lyse infected or transformed cells. Together, these two main T cell subsets work to clear infections or diseased cells. Purified BALB/c pan T cells are a good source of cells to study the biology of T cells and their role in the immune system. T cells are responsible for producing cytokines and performing cytotoxicity. Thus, pan T cells can be used for a variety of stimulation-dependent functional experiments to assess cytokine production, proliferation, and cytotoxicity. 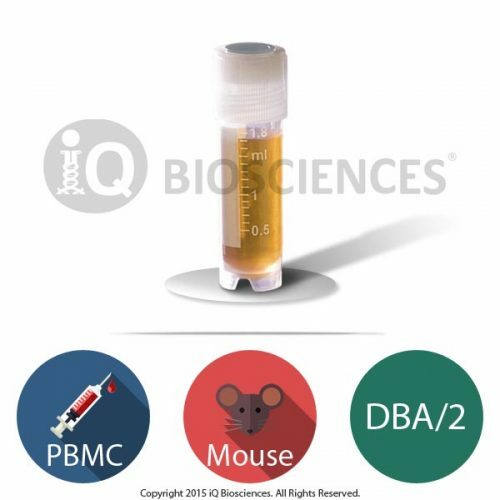 With the current trend toward development of immuno-modulatory drugs, purified mouse pan T cells are an ideal source of cells to test T cell response in the preclinical phase of therapeutic molecule development. The negative isolation of pan T cells leaves them untouched without any antibody binding to cell surface markers that may influence function. This method leaves all cell surface proteins eligible to be bound to antibodies or other molecules for functional or population characterization studies. Once at our facility, the splenic tissue is carefully dissociated through a gentle mechanical process to generate a single cell suspension under sterile conditions. The suspension is then carefully passed through a filter to remove any fat and/or connective tissue and subsequently depleted of red blood cells in a manner that is not damaging to the other cells. The purified splenocytes are then used to isolate pan T cells. To enrich for pan T cells by the negative isolation method, splenocytes were incubated with antibodies against B cells, NK cells, dendritic cells, monocytes, granulocytes, and erythrocytes in a test tube, and subsequently subjected to a magnet. Cells labeled with the antibodies bound to the magnet through the test tube wall, while unlabeled cells, the pan T cells, were decanted into a fresh tube to obtain the enriched population. 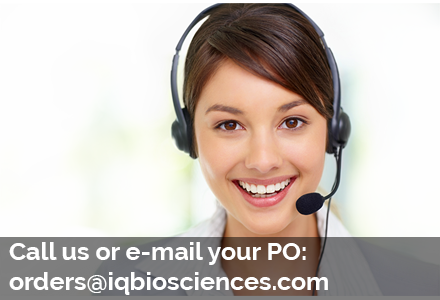 Contact us for more information about purchasing our magnetically isolated pan T cells. A small aliquot of cells was tested for post-sort purity by flow cytometry analysis. Purity of pan T cells, as defined by CD3 expression, was > 90%. Our BALB/c mouse pan T cells are cryopreserved carefully using iQ Biosciences’ cryopreservation protocol that ensures high viability (typically > 80%) after thawing.